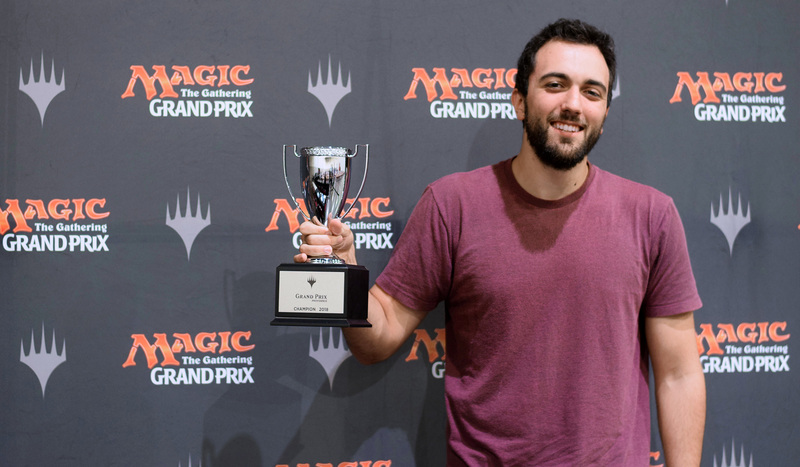 Daniel Duffee played a blistering deck to his first Grand Prix title. THE HASHTAG FOR GRAND PRIX PROVIDENCE IS #GPPVD. JOIN THE CONVERSATION. From nearly 700 players, just one remained: Daniel Duffee. After starting with a perfect 8-0, Duffe carved a path to and through the Top 8 where he defeated Oliver Tiu in the finals to become champion of Grand Prix Providence. Originally Duffee didn’t plan to attend the Grand Prix. But, with a friend handing off his Mono-Red Wizards deck and some Magic Online practice, Duffee demonstrated what a fast deck and good plan can do. After Grand Prix Los Angeles wraps up, all Standard eye will turn to Grand Prix Richmond in two weeks to see what will take on the red decks next. For now, the it’s Daniel Duffee’s turn to bask in the heat those decks bring, and shine on his new trophy from Grand Prix Providence. The 693 player field at Grand Prix Providence has winnowed to just 154 for Day 2—but the action is just getting started. Six undefeated players—Jonathan Sukenik, Case Johnson, Nicholas Mohammed, Lucas Muxi Li, Daniel Duffee and Edgar Magalhaes—lead the way, with players like Andrew Cuneo, Oliver Tiu, Eduardo Sajgalik and 17th-ranked Mike Sigrist running right behind. Plus top-ranked Seth Manfield keeps his Player of the Year dreams alive ending his day at 7-1—21 points and still well in Top 8 contention after 2nd-ranked Reid Duke narrowly missed the cut. Day 2 brings more seven more rounds of Standard action as the next Grand Prix champion emerges!